At 319A, loft living marries sophistication in 48 modern, luxe residences in the Seaport District’s Fort Point neighborhood. 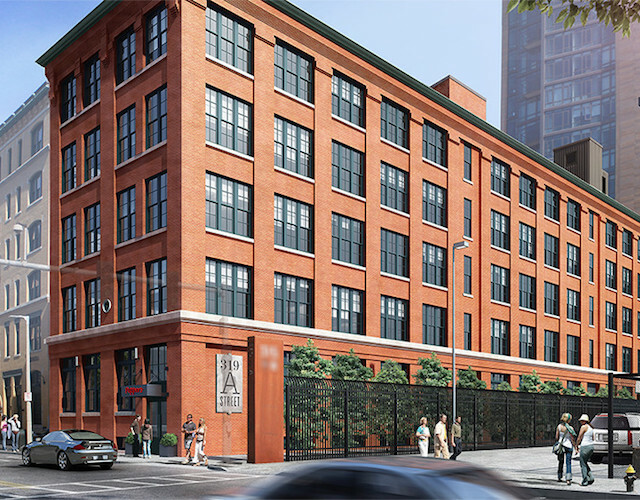 The project, which began construction in Summer 2015, transforms a 100-year-old manufacturing warehouse into a professionally managed condominium building complete with common rooftop deck for an al fresco escape, a covered drive-through, extra storage and an on-site restaurant soon to be announced. Kitchens and baths combine the durability of the building’s original industrial detailing with the functionality of updated systems. Soaring windows and high ceilings flood the interiors with natural light, while exposed brick and original wood beams infuse the residences with history and place.